In life, our circumstances change, and sometimes when that happens, it means saying goodbye to an investment property. Many times it’s a positive experience, but other times it can occur through less than desirable circumstances. Selling property, particularly property that you reside in yourself, is stressful enough at times, but selling an investment property can be even more so. Aside from having the usual pre-sales issues to attend to, you also have the added complication of having tenants that, understandably, are probably stressed too, and with whom you’ll need to communicate with via your property manager. The first step to ensuring the smooth sale of an investment property is to appoint an excellent sales agent, and then you need to consider the best way to sell a property that is currently tenanted. Once you’ve decided to sell your property, ensure you notify the tenant straight away. It’s not uncommon for a tenant to request a rent reduction, typically between $50 and $100 a week, or for the tenant to decide to move out once they are told the property will be sold. 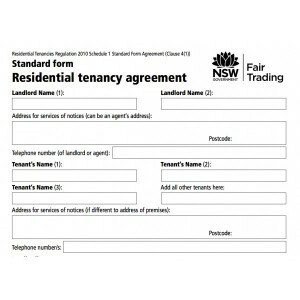 In NSW, if you didn’t tell the tenants you were going to sell the property before they signed a lease, they are entitled to break the lease. If your tenants decide to stay and they have a lease in place, you need to be aware and respectful of their rights. For example, you need to give them at least 24 hours notice of any planned inspections, though you’d be well advised to give them more, or to even work with your tenants to arrange times that suit them as well. If the lease period has expired and your tenants are renting on what’s called a continuing agreement tenancy, you may end this agreement by giving them 90 days notice to vacate the premises. In some cases, the fact the property is currently tenanted may be attractive to a potential buyer looking for an investment property. If buyers require vacant possession, a tenanted home may be viewed as being an inconvenience. Although it may be easier to sell a property that isn’t tenanted, each person’s circumstances are different, and a good sales agent should be able to work with you and your needs, whatever they may be. If you would like to learn more about selling property, continue reading my blog, subscribe for my FREE Educational Videos or feel free to contact me directly for a confidential appraisal of your home. — This blog post first appeared at Sellingyourproperty.com.au.